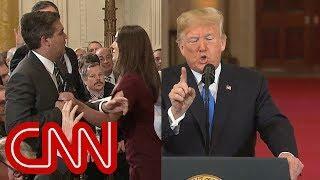 ﻿ Fed-up Trump Explodes On CNN’s Jim Acosta After Seeing What He Did To Female Aide(VIDEO)!!! 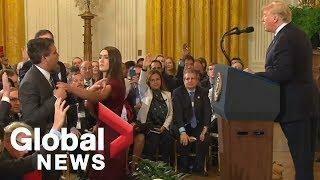 Fed-up Trump explodes on CNN’s Jim Acosta after seeing what he did to female aide. 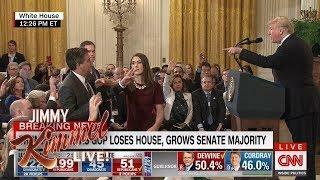 Jim Acosta made a scene when he wouldn’t sit down after having his turn. 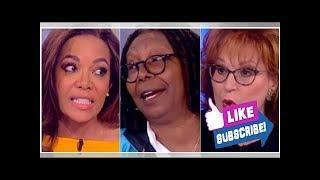 Then, he turned his belligerence on a White House female staffer. 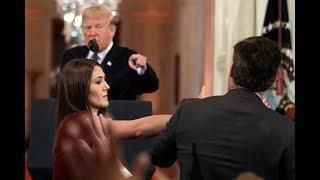 That was enough for President Trump, who e x p l o d e d on Acosta, and it didn’t end well for poor Jim. 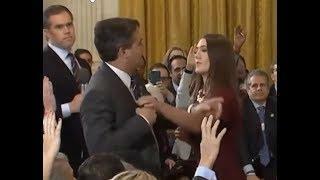 Jim Acosta just can’t stop making the news about himself. But, today, he went too far. 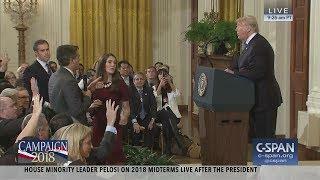 What transpired during the White House press conference with President Trump far surpasses anything the CNN reporter has done in the past.